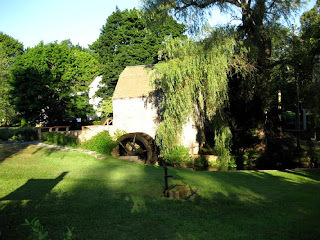 One of my most favorite things to do is take an early morning walk around Old Sandwich Village. Our Cape Cod Bed and Breakfast sits in the heart of the village just across the street from the Sandwich Glass Museum. I slip out just after the sun comes up with my camera and head up Main Street towards Town Hall, the Dexter Grist Mill and Shawme Pond. This early on this beautiful summer morning the sun is just starting to show itself above the treetops. The shadows that fall on the Grist Mill and across Shawme Pond create the loveliest view. I never tire of watching as the rising sun changes everything. This morning I stop at Town Hall to get a photo of the “town watering hole”, the artesian well that bubbles continuously just outside Town Hall. People come here throughout the day and into the night to fill their water containers with water from this well. 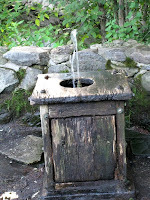 It is thought to be good for your health to drink this water. 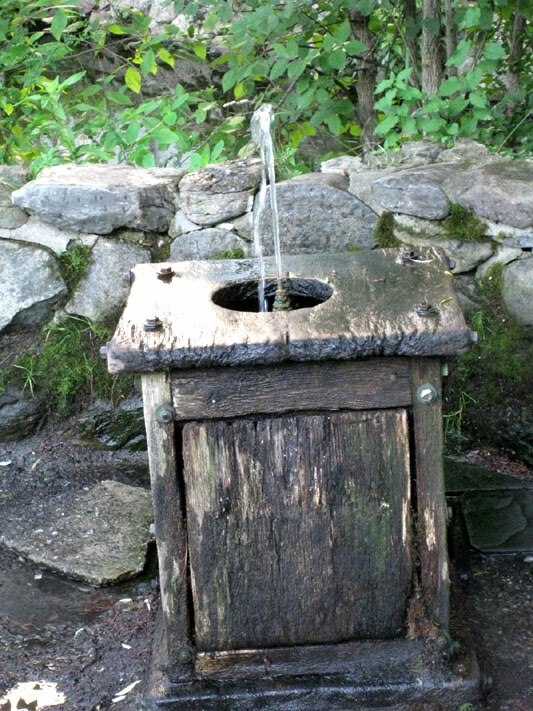 Occasionally guests staying at our Inn like fill a water bottle from this well. From there I follow Main Street around in front of the First Church with its’ Christopher Wren inspired spire built by a colleague of renowned Boston Architect Charles Bulfinch. 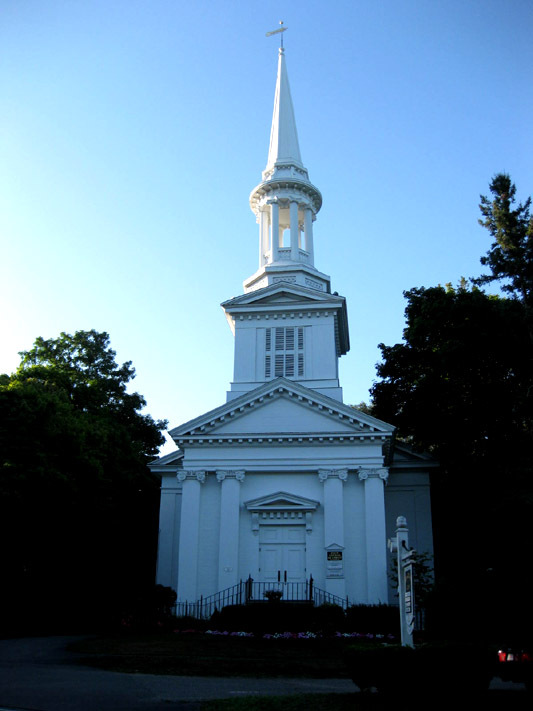 It is said that upon seeing this church for the first time, Elvis Presley was so taken with its’ beauty that he put a photo of it on the cover of a gospel album. A little further up Main Street I walk by one of my favorite houses. It is the lovely little pink house that sits on the left side of the street. 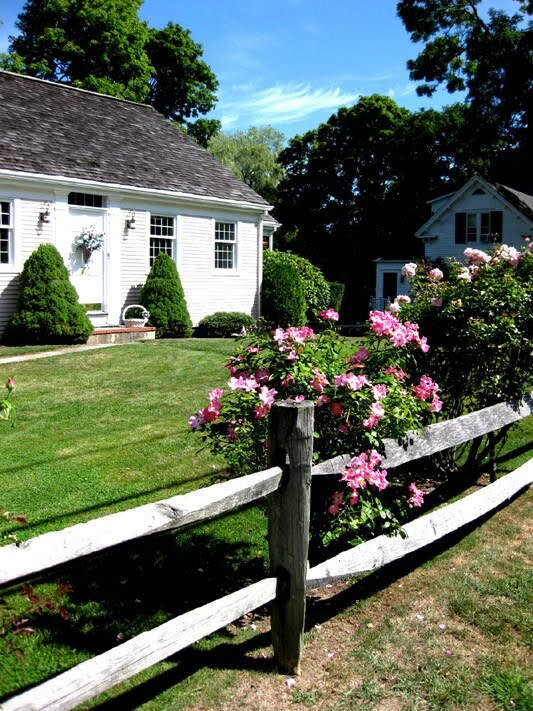 The yard is always pristine with its’ split rail fence and masses of beautifully maintained roses. The scent of those roses is heaven. This particular morning Peter and Martha, owners of this picturesque beauty, are just starting their morning walk. We have a nice chat and then off in separate directions. At the corner of River Street and Main Street is the old Quaker Meeting House. This former church/doll museum was recently renovated and converted to a private residence, possible the most unique I have ever seen. It has a beautiful clock tower that can be seen from the living room windows of our Inn. I take a left onto River Street which, although a very short street, is just beautiful. This particular morning the day lilies are glorious. Earlier in the season both sides of the road are fragrant with the scent of the lilacs that grow there. Farther around the bend in the road is a stream that flows from Shawme Pond and through this part of the village. The sound of the water bubbling along over the river rocks is music to my ears. Just around the bend and to the right is where the stream moves under the road and out to the marshes. 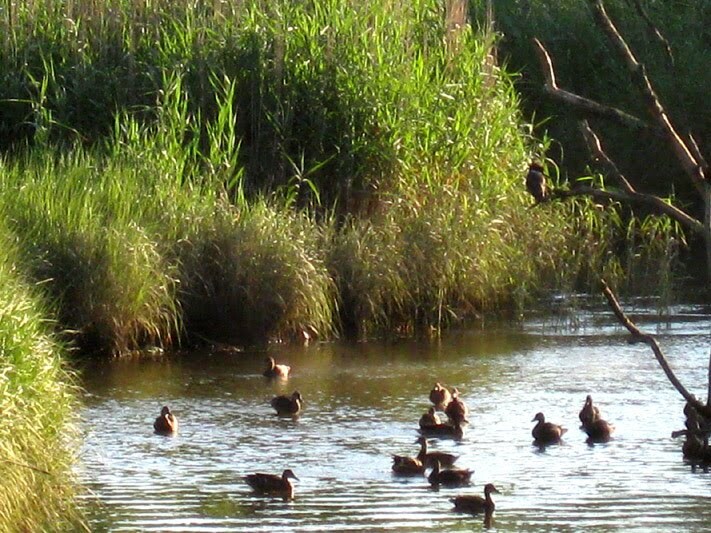 This particular morning the tide is in and the marshes are filled with water. 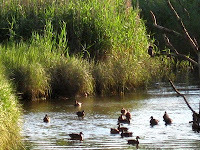 Through the marsh grass I can see the ducks taking their early morning bath. I pause to watch and to take a few pictures. This is really breathtaking and it is difficult to tear myself away, but duty calls and I am headed back to the Inn to make breakfast for our wonderful guests. Come walk with me again soon. There is a lot of Sandwich to love in the early morning light.